With Venezuela's political and humanitarian catastrophe back on the international radar, the crisis in Nicaragua continues to fester, largely unnoticed. Why it matters: In December, the Inter-American Commission on Human Rights accused the Nicaraguan government of committing crimes against humanity when it crushed protests demanding the ouster of President Daniel Ortega. In absolute terms, the repression's 2018 death toll — at least 300 — is comparable to that of Venezuela, but relative to Nicaragua's much smaller population, it ranks as one of the worst human rights crises Latin America has seen in decades. Background: Venezuelan President Nicolás Maduro counts Ortega among his closest allies, and the Ortega regime's troubles stemmed partially from the recent end of Venezuelan aid and oil subsidies. For over a decade, economic growth had compelled Nicaraguans, especially the country’s business elite, to accept Ortega's democratic erosion and consolidation of his family dynasty. However, the regime's marriage of political authoritarianism with economic liberalism — Ortega was more an IMF darling than a 21st-century socialist — proved unsustainable. In April 2018, anger over corruption and rigged elections exploded into street protests. Where it stands: Repression, widespread terror and inchoate economic collapse threaten to create a refugee crisis and further destabilize a region already plagued by weak institutions and transnational organized crime, especially in the so-called Northern Triangle. Yes, but: Nicaragua mostly evades the spotlight. It lacks the geopolitical stakes of the imbroglio in Venezuela, which possesses the world’s largest oil reserves. Unlike Maduro, who benefits from leftist nostalgia for the late Hugo Chávez, Ortega long ago abandoned the socialist politics of the 1980s Sandinista Revolution that once garnered sympathy from global progressives. Finally, Nicaragua is largely irrelevant to U.S. electoral politics: Nicaraguans account for less than 1% of the U.S. Hispanic population, about one-fifth the share of Cubans. The EU and most Latin American countries see early elections as the solution. But early talks between opposition groups and the government have stalled for months. In a bid to force democratic concessions from Ortega, the U.S. government sanctioned several individuals in his ruling circle, while Congress passed wide-ranging economic sanctions with broad bipartisan support. What to watch: It's unclear if such pressure will succeed in bringing Ortega, still backed by the country's security forces, to the negotiating table. Only one thing is certain: The Nicaraguan people, already among the hemisphere's poorest, will increasingly suffer the consequences of a prolonged crisis. 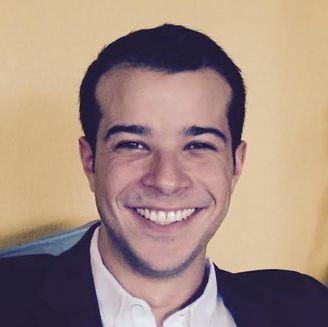 Mateo Jarquín is a doctoral candidate in the department of history at Harvard University. The UN Human Rights Office accused the Nicaraguan government of violating international and human rights laws in a scathing report published on Wednesday. After massive street protests shook the foundations of President Daniel Ortega’s authoritarian regime in April, police and armed parapolice groups cracked down with disproportionate force, including extrajudicial killings, forced disappearances, sexual violence and torture. Why it matters: The UN says that Nicaragua’s political crisis has left at least 300 dead and 2,000 injured, among a population roughly equal to that of the D.C. metro area. U.S. and Latin American diplomats worry that the instability could spawn a refugee crisis and create a power vacuum that might be filled by transnational organized crime groups. Ortega, whose government dismissed the UN report in an official response, says that his country is doing perfectly fine. After repressing peaceful protests in April and May, police and armed shock troops conducted a “cleanup” operation during which they violently removed the barricades and roadblocks erected by protestors across the country. By July, Ortega started claiming victory over “terrorists” and “coup-plotters” and told foreign media that the country’s “normalization” was proceeding apace. By contrast, the UN report shows that the situation in Nicaragua is anything but normal. Most of the deaths occurred during the “cleanup” between April and July. However, the government continues to employ myriad forms of persecution and retaliation in order to silence dissent. Hundreds of Nicaraguans have received terrorism charges and been detained without due process. The “systematic” persecution of dissidents compounded by pro-government intimidation has resulted in "a climate of widespread terror, frustration and despair." Unsurprisingly, the report also notes an exponential increase in Nicaraguan asylum seekers abroad. What's next: The UN Human Rights Office has called on the Ortega regime to cease the repression and disband the parapolice forces. More notably, it has urged the UN Human Rights Council to consider creating an independent probe into the matter. 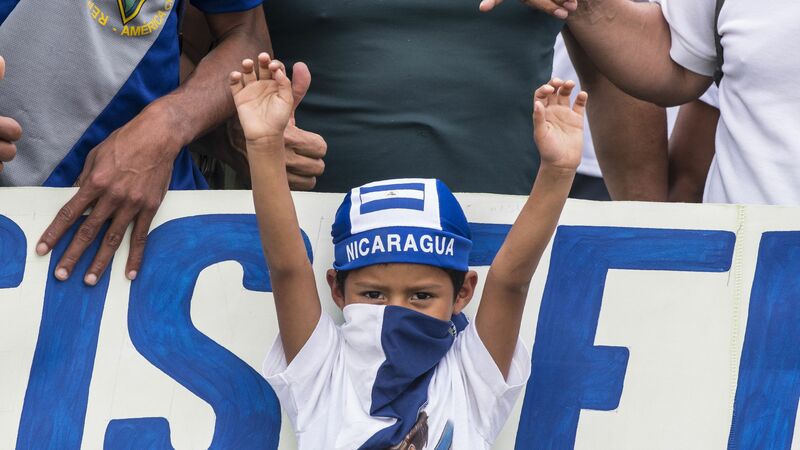 Such an extraordinary step, if taken, would elevate the crisis in Nicaragua to the same symbolic level as other, more well-known cases — such as Syria's and Gaza's — that have recently been the subject of UN inquiries. Talks between the government and opposition groups have stalled, but increased international scrutiny and diplomatic isolation could help push Ortega back to the negotiating table. People attend a march honoring children killed during protests in Managua, Nicaragua, on June 30, 2018. Photo: Marvin Recinos/AFP via Getty Images. Since late April, massive street protests have rocked Nicaraguan President Daniel Ortega's authoritarian regime, demanding his ouster. Ignoring calls for early elections and derailing peace talks with the civilian opposition alliance, Ortega has used police and paramilitary forces in a bid to win back the streets through brute force. Why it matters: Regime repression has left over 200 dead and the economy is forecasted to shrink dramatically as a result of the unrest. Despite recent U.S. sanctions, the crisis will likely continue, with adverse consequences in Nicaragua and beyond. The background: In the 1980s, Ortega was a key figure in the left-wing Sandinista Revolution. Since his election in 2006, however, he has abandoned his socialist ideology and implemented pro-business and socially conservative policies. With tacit support from his former foes in the country’s business elite, he brought all branches of government under his control. Nicaraguans acquiesced mostly because the regime brought stability and economic growth. But after a decade of sham elections and intolerance for dissent, tensions brewing beneath the surface boiled over. While Ortega has gained some ground by using shock troops to clear the protestors' roadblocks and barricades, he also faces mounting pressures. U.S. sanctions, on their own, are not expected to have a major effect. But they add to the regime’s growing diplomatic isolation. The economic downturn and rising crime are weakening the government’s already scant popular support. The military remains the X factor: It has not participated in the repression, nor has it disarmed the paramilitary bands that now roam the streets. Whether Ortega succeeds in quashing dissent, or is instead forced to make concessions, will likely depend on the armed forces. What's next: Until recently, Nicaragua enjoyed relative stability and security compared with its drug-dominated neighbors in Central America's Northern Triangle. The deteriorating situation could create an opening for international organized crime and threatens to spawn a refugee crisis that would affect the whole region.